From outdoor activities, to wineries, museums, shopping, entertainment dinner shows, aquariums, rides and more. 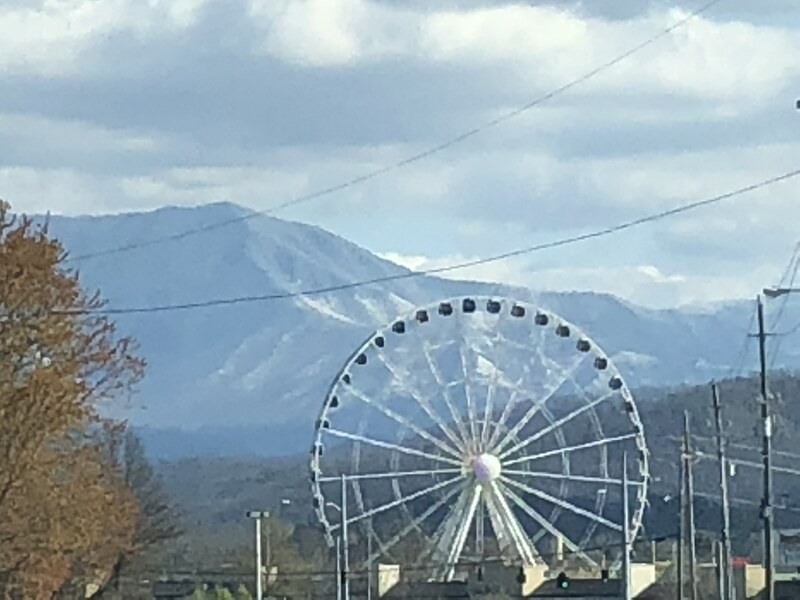 With year-round attractions and plenty of things to do and see in this Smoky Mountain oasis of Tennessee, you’re sure to fall in love at first sight with Pigeon Forge! Time to take your family on a vacation they will never forget! When planning a family vacation, it may be hard to stay within budget. 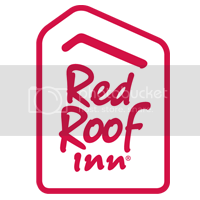 At Red Roof, we make your hotel stay affordable so you can get the most out of your travel experience! Red Roof Inn & Suites Pigeon Forge – Parkway is a 5 minute walk to many attractions, including the Comedy Barn Theater, Fast Tracks Amusement Park, and The Island of Pigeon Forge. Free WiFi, Microwave & fridge, coffee maker, and a flat screen TV our in all rooms. Enjoy Free Breakfast, coffee in the lobby & on-site cafe available! Book Now! Enjoy the wild fun of Dollywood and Splash Country. 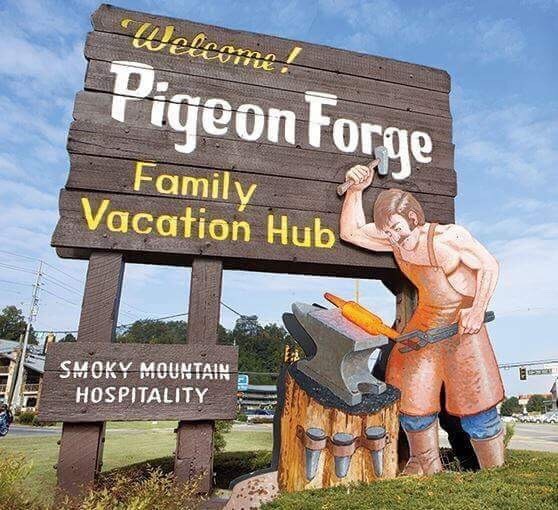 Pigeon Forge’s most prominent and world renowned theme and water park! You can get your tickets right at the front desk at Red Roof! Enjoy White Water Rafting with Smoky Mountain Outdoors! In the heart of the Great Smoky Mountains, on the Pigeon River, take in the breathtaking scenery with exciting rafting thrills for the whole family. World renowned for its diversity of plant and animal life, the beauty of its ancient mountains, and the quality of its remnants of Southern Appalachian mountain culture, this is America’s most visited national park. Only 9 miles away! If it is outdoor adventure you seek, be sure to take some time to enjoy the walking and biking trails of Little Pigeon River, or cast your rod and enjoy the river that USA Today cites and one of Tennessee’s premier Trout Fishing locations. Just 3.7 miles away. Swing the club at Gatlinburg Golf Course, only 2.3 miles away! Practice your game, and save money while you’re at it. At Ripley’s Aquarium of the Smokies, 8.2 miles away, you can waddle with the penguins, splash with the rays, and sleep with the sharks. You can get your tickets right at the front desk at Red Roof! The Titanic Museum lets “passengers” experience what it was like to walk the hallways,parlors, cabins & Grand staircase, with more than 400 artifacts from the ship & its passengers. Only 2.2 mi away. Wonder Works (2 mi.) offers over 35,000 sq ft. of “edu-tainment”– an amusement park for the mind! Hollywood Wax Museum (1.4 mi.) is devoted entirely to celebrity figures–get close to some of the biggest names in show biz! Enjoy all of the wacky fun and entertainment of the world famous Ripley’s Believe It or Not Museum! Enjoy a light hearted and fun family atmosphere with great shows at the Comedy Barn. This staple of Pigeon Forge offers laughs and quality fun for guests of all ages. See amazing illusions, costumes, comedy expressions and more in this one of a kind show. Experience Darren Romeo’s Magic Beyond Belief. Get out to the largest musical variety in the Smoky Mountains. 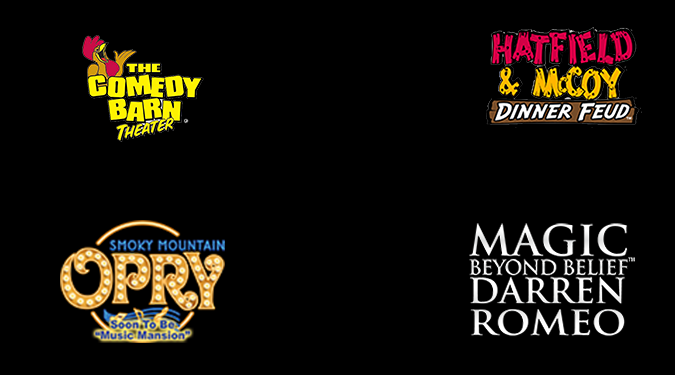 Enjoy all of the greatmusical entertainment and thrills with the whole family at the Smoky Mountain Opry. Country Tonite Theatre (1.5 mi.) combines your favorite country classics with hot new country hits and hilarious comedy. Memories Theatre (1.6 mi. ), the original legends show since 1990, featuring Elvis, Tim McGraw, Tina Turner and more! Enjoy this fantastic all you can eat dinner show, the Hatfield and McCoy Dinner Show is a great place to laugh and enjoy life. You can find nearby conventions, trade-shows, conferences and more at LeConte Convention Center (1.4 mi.) or Smoky Mountain Convention Center (2.1 mi.). Check out some of these local spots to eat on your stay. Stop by T.G.I.Friday’s (Walking), Raegans House of Pancakes (Walking), Paula Dean Restaurant (0.5 miles), Timberwood Grill (0.5 miles), Margaritaville (0.5 miles), Mama’s Farmhouse (0.7 mile), Alamo Steakhouse (0.7 miles), Bennetts Pit Bar-B-Que (0.9 miles), Kinkaku Japanese Steakhouse (2.5 miles) and Apple Barn (2.6 miles). Enjoy family bonding time with Mini Golf and Go Karts! Hit the course at Lost Treasure Golf, Firehouse Golf and Fantasy Golf. Hit the track and compete at Xtreme Racing Center, The Track, Blake Jones Racing and Rockin’ Raceway.